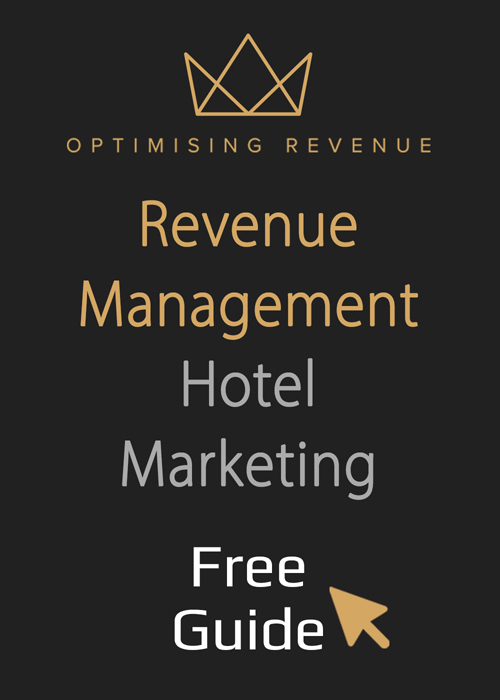 Revenue Management; the Basics of Revenue Management Explained! Home/All Tips, Revenue Management Tips/Revenue Management; clearly explained! Revenue management is concerned with optimising financial results and is especially popular in industries like hospitality, which must contend with high fixed costs and a perishable inventory. For example, hotels have a certain number of rooms and fixed costs which must be met, regardless of how many rooms are sold. In such industries, revenue management is employed in an effort to predict demand and optimise inventory and price availability. When utilised correctly, this will ultimately result in higher revenue. The history of revenue management can be traced back to the 1980s, originating in the airlines industry. In order to optimise financial results, airlines began to introduce a concept known as dynamic pricing. Businesses like American Airlines found huge success in applying price discrimination techniques and anticipating consumer demand. So what is revenue management, and what does it actually entail? Broadly, it can be described as the use of analytics, which help to predict the behaviour of customers, so that product availability and price can be optimised in order to generate the maximum amount of revenue possible. Within the hospitality industry, the chief purpose is to increase revenue while selling the same number of products or services, such as hotel rooms. It is, essentially, about matching supply and demand and successful revenue management involves understanding how customers think and what their perceptions of value are. This may means also refusing to sell a room today, so that you can sell it for a higher price tomorrow, but it might also mean recognising when demand is low enough that you should sell at a discounted price. In order for a business to employ a revenue management strategy effectively, a number of conditions must be in place. • A perishable inventory e.g. after a certain point, the resources can no longer be sold. Revenue management can be considered to be quite similar to yield management and indeed, many business owners confuse the two concepts. Yield management came first and is more tactical than strategic. It also has a narrower focus, as yield management describes the price optimisation part of the process. By contrast, revenue management considers the bigger picture more and may involve things like forecasting and in-depth analytics. To provide an example concerning the hospitality sector, yield management would be concerned with the sale of a hotel room, whereas revenue management may take into account the full implications, including areas of secondary spend and the cost involved in actually selling the room in the first place. For more detailed information about the difference between revenue management and yield management, please also read the article “Revenue Management vs Yield Management”. As a strategy, revenue management allows businesses to adopt a data-driven approach to decisions on what to sell them. It is a way of ensuring that informed decisions are made and your business does its best to drive revenue upwards, while selling the same amount of products and services as before. Revenue management is often concerned with predicting demand and optimising price and availability, in an effort to boost revenue. An even more professional approach is also to take into account all spend revenue per area per room and also take into account all distribution and/ or operational costs. This will give hoteliers an even greater insight in the actual performance of their hotel. It all began in the airline industry and is primarily associated with hotels, but it can be employed in almost any business where changes in levels of demand can be predicted, where fixed costs must be paid regardless of sales and where customers are willing to pay different prices for the same product or service. In addition to its use within the hospitality industry, revenue management has emerged as a popular strategy within car rental companies, theaters, financial services, medical services and the telecommunications industry.